Does anyone know the Zirkind shitta on holes? 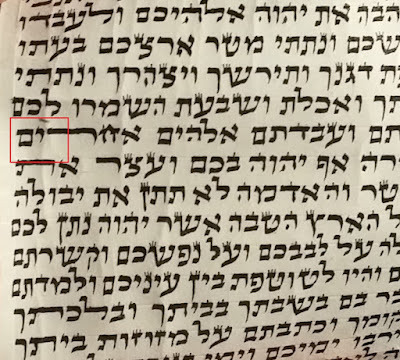 Hi I have a parsha from a Zirkind style sofer written on the trademark Zirkind Klaf which has got holes in it, some of them touching the letters. 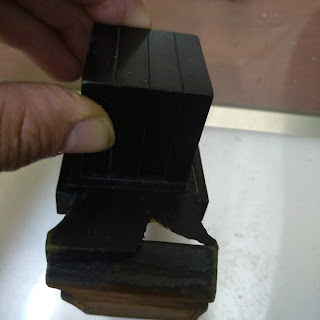 My Rav here passelled it because they are big enough to see in regular light (not against the light) and ink goes through them. But I remember once hearing that Harav Zirkind is meikel on holes and perhaps if its kosher according to him I can tell the customer that there is yesh lismoch for the past and then he can decide what do do for the future. Nachman, I removed your comment because one of the rules of the forum is speak respectfully about other sofrim. For those who may not know, Rabbi Zirkind is a senior American sofer who for many years was the personal sofer of the Lubavitcher Rebbe. He also wrote the Rabbeinu Tam Tefillin of Rav Moshe Feinstein. Thanks for the information, I had not heard of him. For my own education, what differentiates his style from other Ksav Alter Rebbe and his klaf from anyone else's? 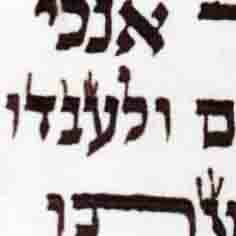 1) Style: The ksav is simplistic because Rabbi Zirkind does not hold of hiddur in the actual writing. 2)Klaf: the klaf is usually more yellow and thicker than normal klaf. It's home made which is advantageous from a kashrus point of view. I look at this from a different way. Why is the customer asking you again? He asked a Rov and got an answer. If he does not trust this Rav, let him find a Rov that he trusts!